One (or more) Sentence Summary: The Bookshop at Water's End was a really nice refreshing read. I loved the setting in South Carolina. My favorite was the bookshop and the lessons learned there. It was a magically place. Even though Bonny's made a tragic mistake, it made her evaluate her life and what she really wanted to change. There were lots of broken relationships that were fixed by the end of the book. Enjoyable read! Would I Read Other Books by the Author: Yes, I would read another book by Patti Callahan Henry. I think Between the Tides, The Ideal of Love and Driftwood Summer all look really good. 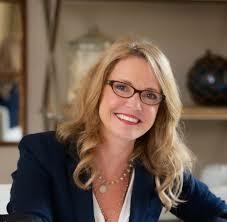 Patti Callahan Henry is the New York Times Bestelling novelist of eleven novels. 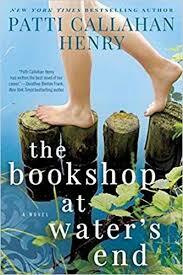 Her latest is THE BOOKSHOP AT WATER'S END with Penguin Random House/Berkley.